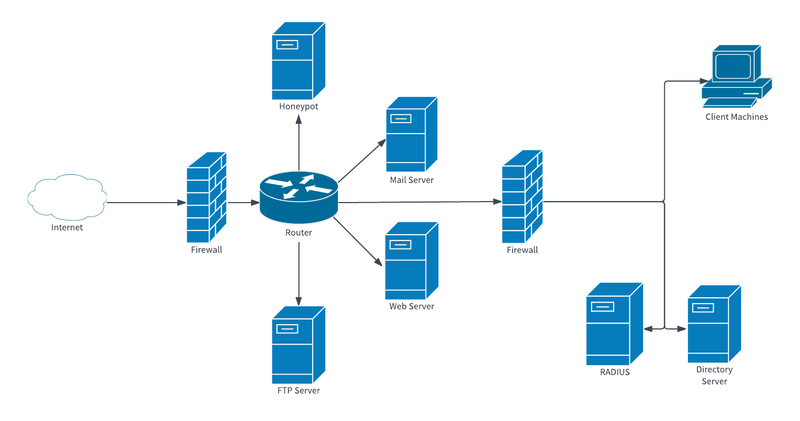 A network security diagram maps out the security methods implemented to protect an organization's assets. It helps to ensure the protection of valuable information as it is stored and transmitted. Make sure your data is safe by using this network security diagram template for your organization. Sign up for a free Lucidchart account and begin editing to get started.